How to sign in to Teambook? When you signed up for Teambook, we sent you an email with your web address. Sign Up for FREE and start using Teambook in seconds! Need a superpower to plan your team? Teambook is the tool you need to become the planning superhero of your agency. 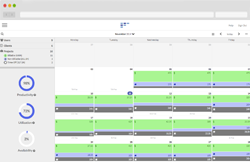 See who works on what and when in real-time and track team’s availability. Map your team’s skills and use tags to find the perfect resource for your project. Track projects budgets and time spent. Get the big picture of your team’s performance with productivity, utilization and availability analytics. Use filters to refine the metrics. 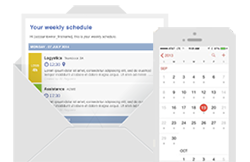 Keep your team in the loop with Teambook’s individual resource homepage, email notifications and a practical iCal link that syncs with most calendars. On top of it, a dedicated link to their project timeline for your clients make sure they also know what’s going on. Trusted by thousands of consulting, marketing and digital agencies around the world. I like Teambook; it’s quick, intuitive and easy to use. 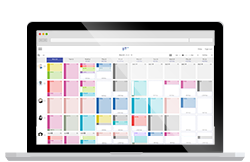 Their design makes team scheduling easier and allows me to focus on business rather than updating spreadsheets. The biggest benefit I’ve noticed is without a doubt our teams’ productivity increase. Teambook makes it super easy to sync with my calendar and helps me organise my week better. Teambook is Made with Love in Switzerland - Copyright © 2019.